(L-R) Jarrod Slade (Iain Glen), Koen West (Hunter Page-Lochard) and Waruu West (Rob Collins). Photo credit: Lisa Tomasetti. Cleverman will launch in the United States on SundanceTV on June 1 and in Australia on ABC and ABC iview on June 2. “Cleverman marks a new era for Australia’s production sector, inviting audiences to experience a bold new story-world where Aboriginal storytelling meets high concept genre drama", said Head of Indigenous at ABC TV Sally Riley. "With an 80 percent Indigenous cast, Cleverman sets the benchmark for diversity on Australian television and its contemporary themes set in the near future will resonate widely amongst diverse audiences". 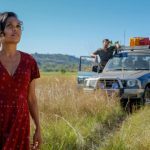 "We are delighted that our co-partners SundanceTV will screen the show to its US audiences in line with when our Australian audiences will experience it. A global television event for an Indigenous authored show…we're excited!" President of original programming and development for AMC and SundanceTV Joel Stillerman said, “At its heart, Cleverman is a thrilling and sophisticated drama filled with conflict, unrest and smart storytelling. The show presents an allegorical view of some of the timeliest and urgent discussions going on our world right now – our collective treatment of minority groups and what common values we share that make us a society". Series creator Ryan Griffen said, “I have a huge love of superheroes and comics. It got me thinking about creating something cultural that my young son could connect to on a superhero basis. I wanted to bring something Aboriginal, Indigenous, to that world." Cleverman's cast includes Iain Glen (Eye in the Sky, Game of Thrones), Frances O’Connor (The Missing), Deborah Mailman (The Sapphires), Hunter Page-Lochard (The Sapphires), Rob Collins and Stef Dawson (The Hunger Games). Wayne Blair and Leah Purcell are the directors. 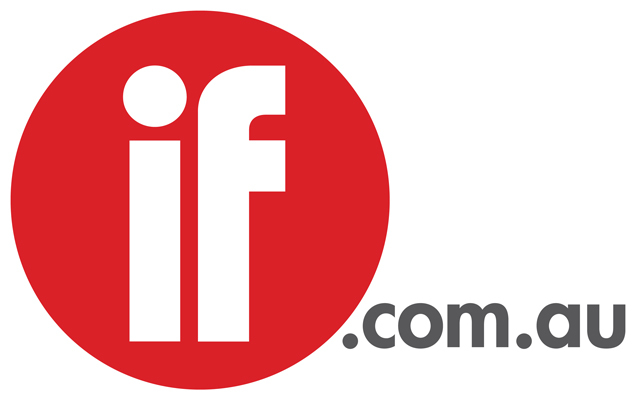 The series is produced by Goalpost Pictures Australia and New Zealand’s Pukeko Pictures for ABC TV Australia in co-production with SundanceTV and Red Arrow International, with the assistance of Screen Australia, Screen NSW and the New Zealand Screen Production Grant. Red Arrow International distributes worldwide.